Nokia Mobile released the update for it Nokia mobile support app. The update, which is 7.68 MB large, upgraded the app to the version 1.7.0 and it brings just smaller improvements. 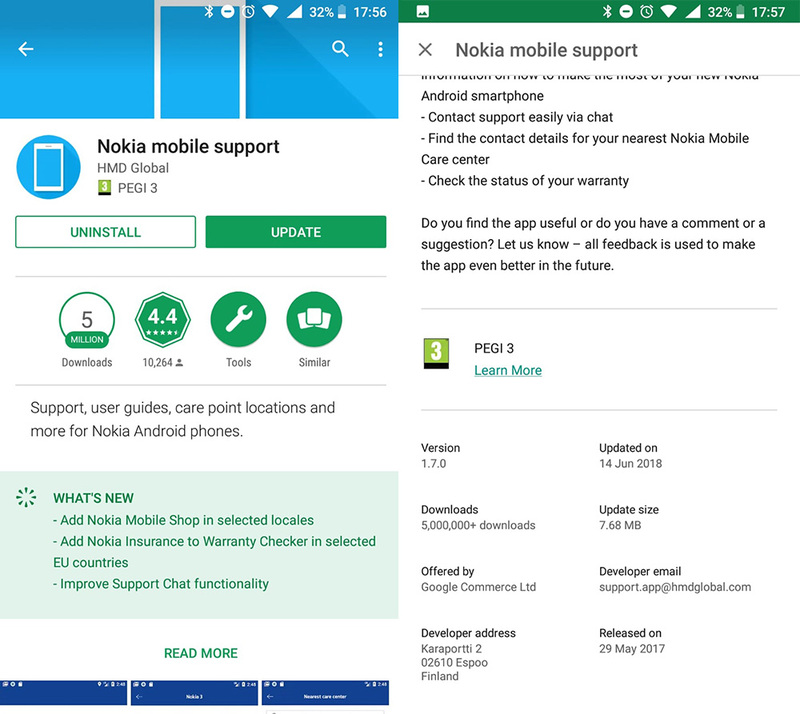 You can now add local Nokia mobile shop at the selected markets, add Nokia insurance at selected EU countries, and the chat functionality is improved. Specific markets and countries are not known yet. Check if the update is available on Google Play store, or just click the link.